Which Technique is right for me? This chart is intended as a guide for first time clients. 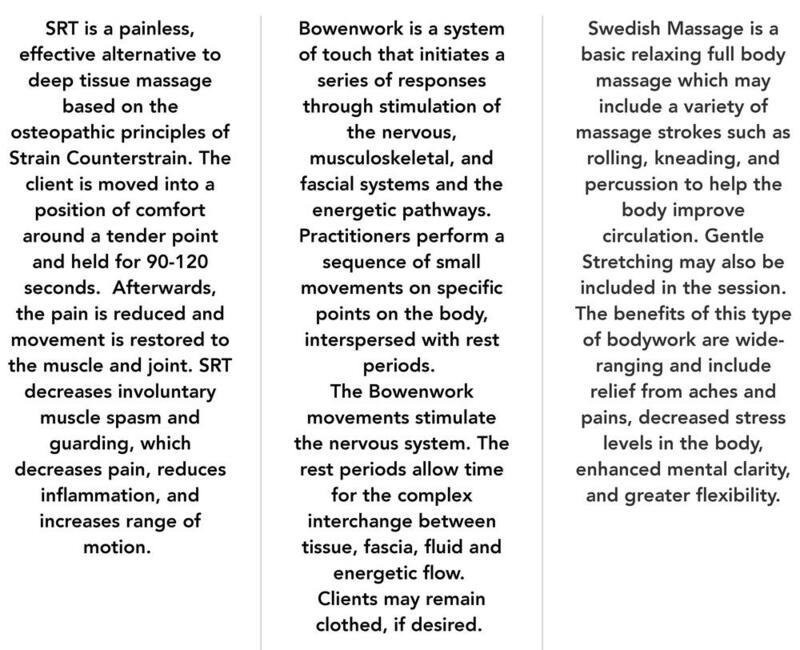 Bowen Arrow Bodyworks reserves the right to combine or alter techniques based on client symptoms, goals, and progression. Drink plenty of water in the next 48hours. Walk around if you have been sitting for longer than 1/2hour. Take a longer, 20-30minute, walk each day, to integrate the changes. The session will be more effective if you wait 5 days after your session before receiving any other bodywork. Avoid using hot or cold packs after a session. Use apple cider vinegar for pain or inflammation. Do the exercises given for your condition. Please arrive on time and dressed comfortably for your appointment. Although rare, it is sometimes possible to accommodate a late start. Your appointment may be shortened and full payment is still required. 24-hour advance notice is required when canceling an appointment except in cases of illness, emergency, or inclement weather. Cancellations without a 24-hour notice will result in a $50 charge. Thank you for your understanding. 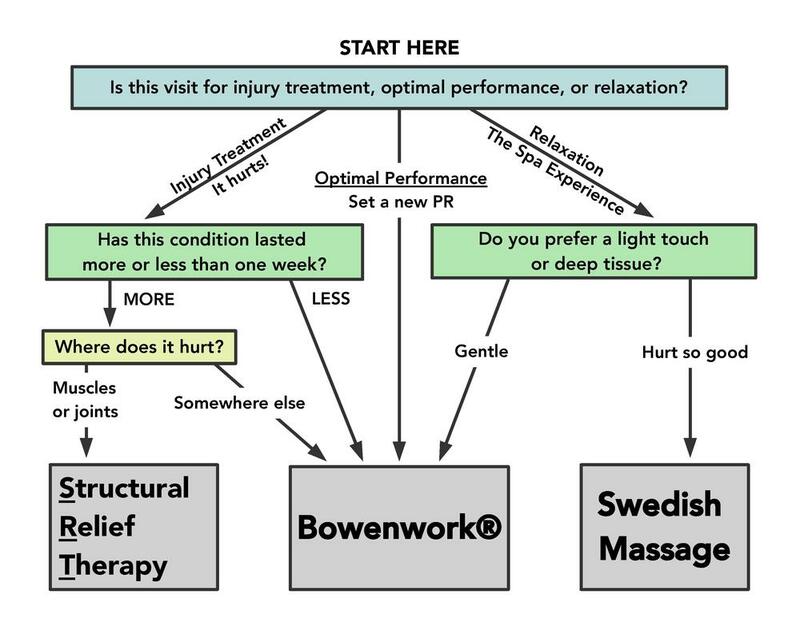 For best results, avoid other forms of bodywork (including massage, acupuncture, chiropractic, and energy work) for 4 days before a Bowenwork session.